This is a repurposed Medical Building. Formerly a dialysis clinic. Legally non-conforming. 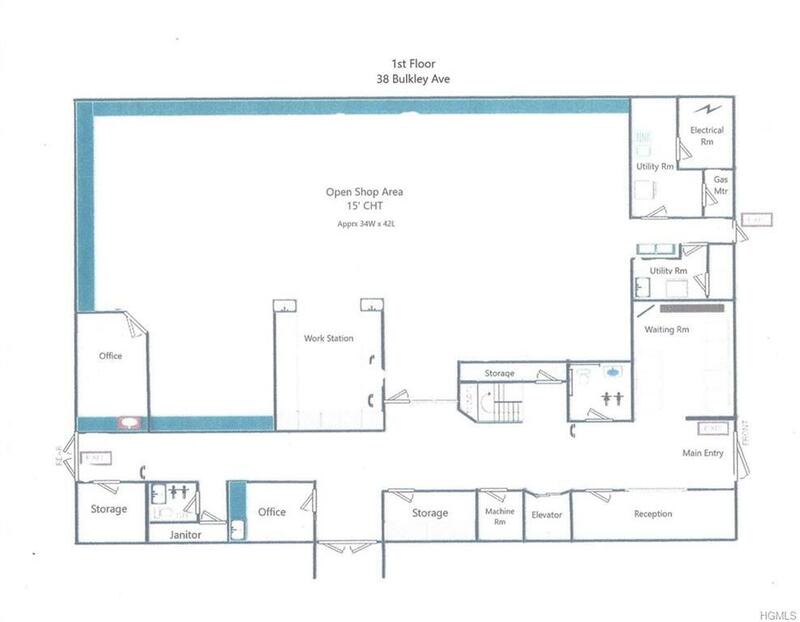 Gross area is approx 10,000sf. 1st and 2nd flrs each contain approximately 5,000sf more or less. 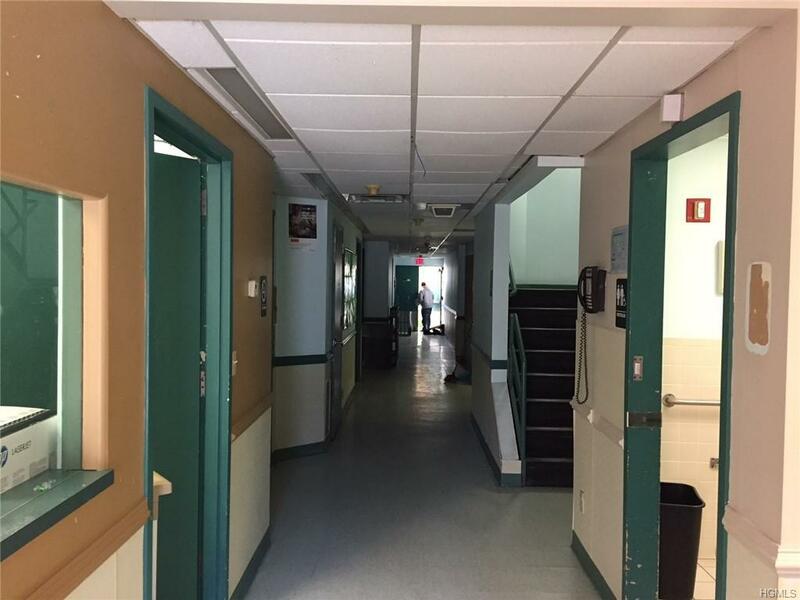 1st Flr is built out with reception/admin office, waiting rm, 2 offices, work station and elevator, 2 lavatories, janitors rm and 2 smaller stge rooms plus a large (53' x 80') open treatment/physical therapy area. 2nd Flr area is designed so that it is open to the 1st floor below and overlooks and is able to monitor the treatment area. 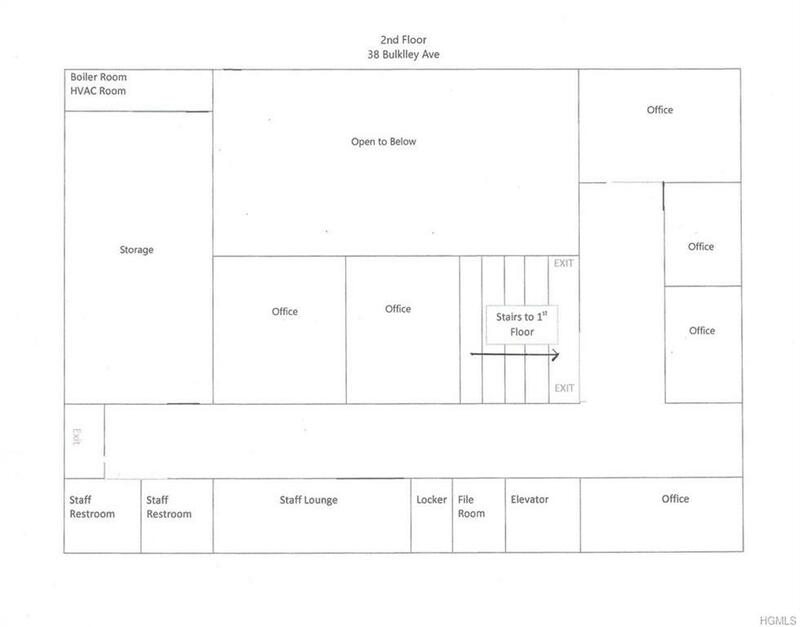 The 2nd floor contains 6 offices, a large stge rm, locker rm, staff lounge, 2 lavatories and elevator. 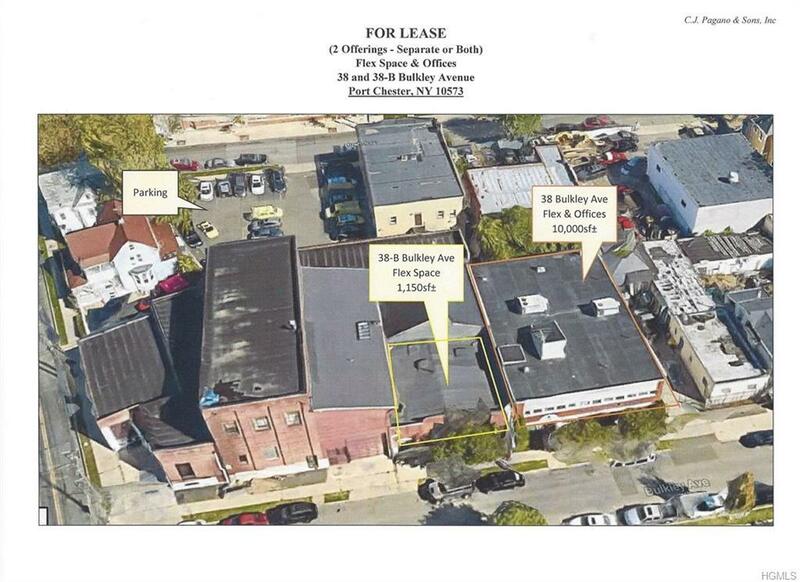 UNDER CURRENT ZONING, A CHANGE OF USE FROM OTHER THAN A MEDICALLY RELATED USE WILL BE SUBJECT TO VILLAGE ZONING BOARD REVIEW AND APPROVAL. THE NEW "FORM-BASED" CODE IF ENACTED SHOULD ALLOW A WIDER RANGE OF USES "AS OF RIGHT. THE NEW CODE IS CURRENTLY UNDERGOING THE REVIEW PROCESS AND TENTATIVE ACTION BY THE VILLAGE IS ANTICIPATED O/A 1ST QTR OF 2019.